in communion with a stunning landscape of the valley of Furnas. To get there, it follows by a mountain road, through grass, bushes and flowers. offering a more open landscape of hills and green meadows where grazing all year, hundreds of dairy cows. In the evening, starts milking, usually made in the pasture where the animals are almost all year, resisting the worst weather stoicism. 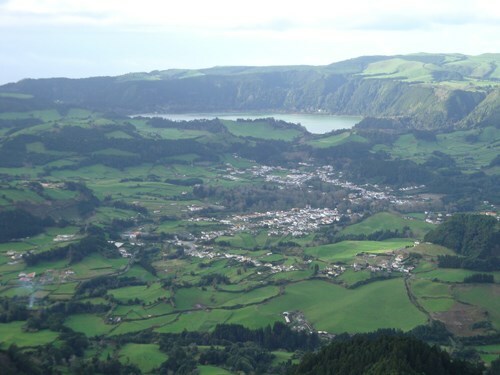 Is this the secret of milk, butter and cheese Azores? por entre pastagens, matas e flores. onde os animais permanecem quase todo o ano, resistindo estoícamente às mais duras intempéries. Será este o segredo do leite, da manteiga e do queijo açorianos?